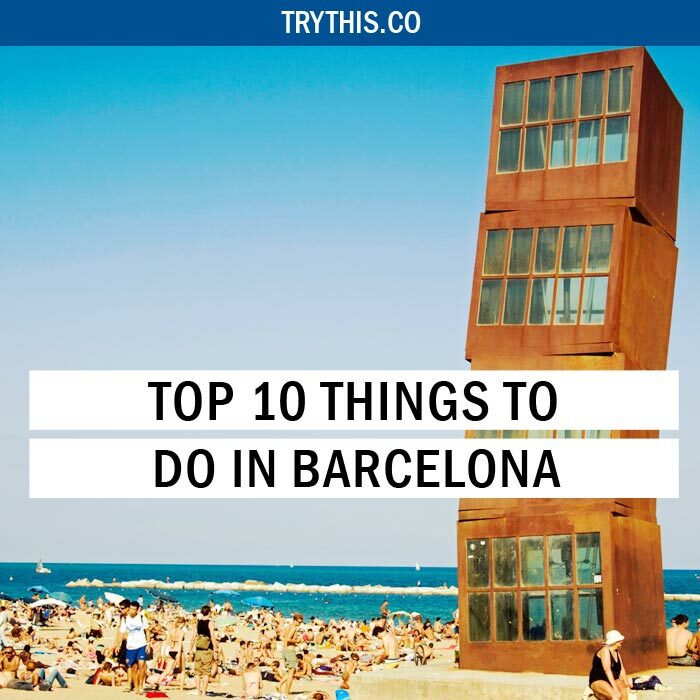 Top 10 Things To Do In Barcelona - Travel Tips - TryThis! Barcelona’s quirky character and fabulous Catalan cuisine mix seamlessly with a groundbreaking art scene, Gothic architecture, superb dining and a non-stop nightlife, making it a city you won’t forget. 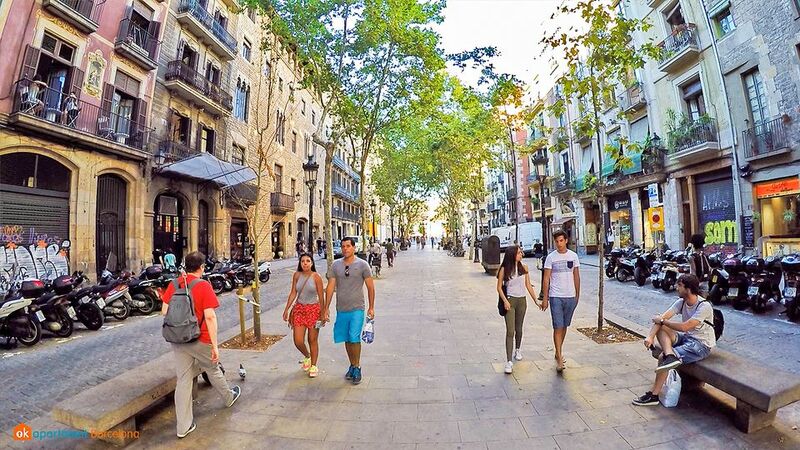 Wander the labyrinthine streets of the old Gothic Quarter and navigate your way through the throngs of tourists along La Rambla, Barcelona’s famous tree-lined boulevard. Perhaps pay a visit to the Picasso Museum, the National Art Museum of Catalonia or the Museum of City History to brush up on your local knowledge. Take the funicular to the top of Montjuic or Tibidabo for panoramic views of Barcelona and the harbor or take a tapas crawl through rustic Catalan dishes in the funky neighborhood of El Born. The heart of Catalonia prides itself as a gastronomic center for traditional satisfying bites likes croquettes, fresh anchovy fillets lightly pickled in vinegar with salt and garlic to chargrilled aubergines with peppers and onions. It is easy to fall in love with Barcelona because it is full of character. Therefore what to do in Barcelona can be really confusing when in the city. 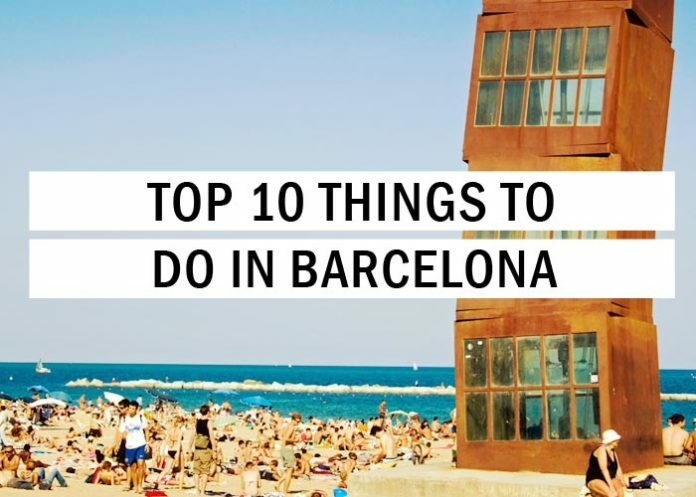 The place is young, dynamic, and volatile and hence, here is a list of top 10 Barcelona attractions. What to do in Barcelona is not a question you ask if you are a food lover. Barcelona is a cosmopolitan blend of locals and tourists filled with many tapas restaurants, cocktail lounges, and chic wine bars during the evening hours, making them the perfect places to unwind after a day’s sightseeing or catching up with friends in some of the city’s most fashionable haunts. The best part? The city ensures an outstanding culinary experience by indulging in one of the most traditional social rituals: nibbling on a variety of tapas. The number of al-fresco tapas bars in Barcelona makes it hard to walk through the city without tingling one’s taste-buds. 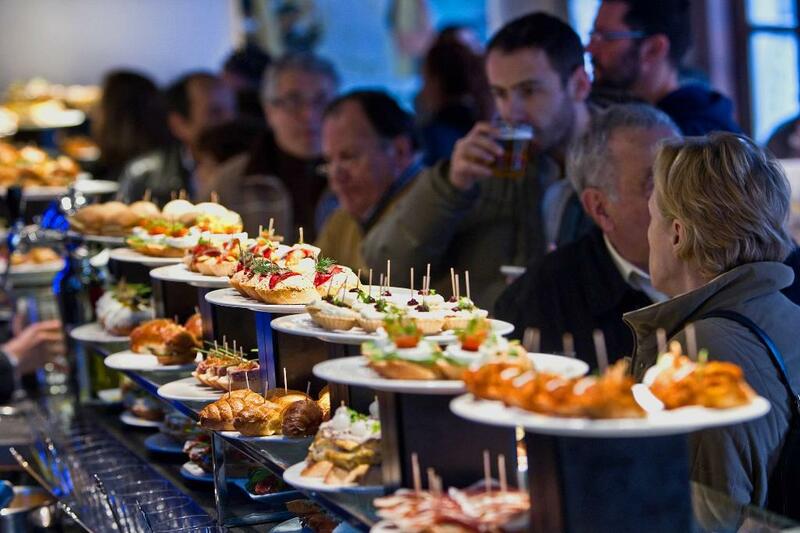 Tapas celebrates the social nature of the Spanish people in the true sense. Along with salivating over these bite-sized morsels, Barcelona offers other variety of foods from stuffed mussels filled with finely chopped mussel meat, peppers, onions, and tomato sauce known as Tigres de Mari to the sweet creamy ambrosial ice-cold Horchata drink made with the Chufa nut, ground almonds, and sesame seeds. This is the first one of the things to do in Barcelona. The neighborhood of Raval is located close to the city center. This area, previously the red-light district, has gone through a transformation and is now a trendy place filled with traditional shops and ethnic restaurants. The city’s Museum of Contemporary Art, MACBA, is located in this area, close to several other galleries. 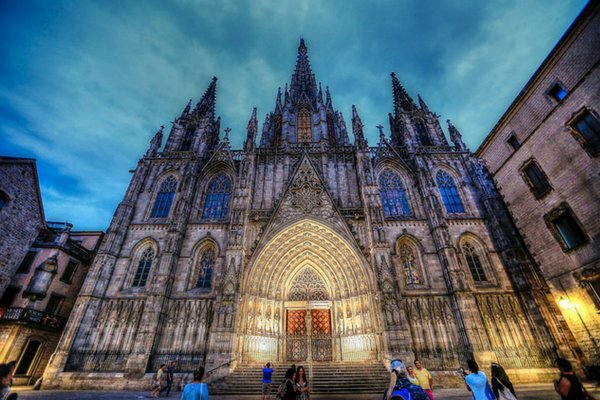 The place is an absolute must-see when visiting Barcelona and tops the list of Barcelona attractions for many tourists. What to do in Barcelona can be a little confusing when in the city. 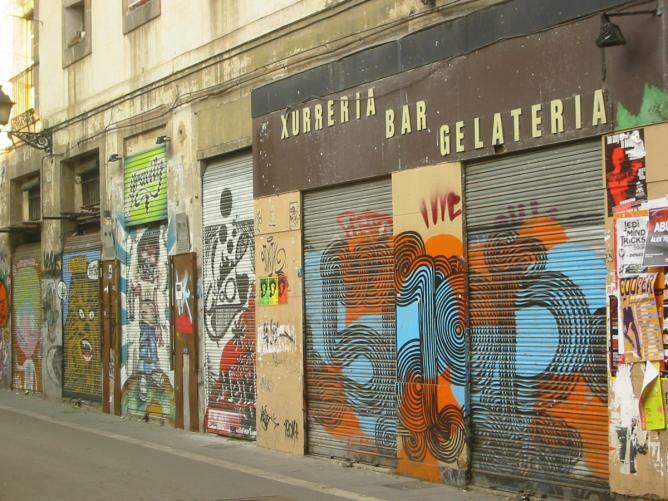 Popular with visitors to Barcelona, the iconic La Ribera is one of the most popular districts in Barcelona’s Ciutat Vella, or Old City and serves as the vital center of the city’s design, entertainment, and fashion trends, earning itself the nickname of ‘Barcelona’s SoHo’. This most definitely is next in line for the things to do in Barcelona. A number of Barcelona attractions lie in La Ribera, most notably the UNESCO World Heritage Site of Palau de la Musica Catalana, a modernist marvel designed by architect Lluis Domenech i Montaner and the domineering Gothic Santa Maria del Mar, or St Mary of the Sea Cathedral, built in the 12th century by Berenguer de Montagut and renowned as one of the country’s finest examples of Catalan Gothic architecture. Another striking landmark is the Arc de Triomf, a richly decorated arch and pedestrian walkway designed by Josep Vilaseca in a neo-Mudejar style and serving as the monumental gateway to the Parc de la Ciutadella. This definitely makes up for the next best things to experience among the many other things to do in Barcelona. El Born is one of the most visited places in the city. And therefore most of the time the first place to come to mind if you ask what to do in Barcelona. The tree-lined Passeig del Born is at the heart of the district, casting off its origins as a medieval jousting arena in favor of a modern shopping and nightlife hub, presided over by the imposing façade of the gothic St Mary of the Sea Cathedral. 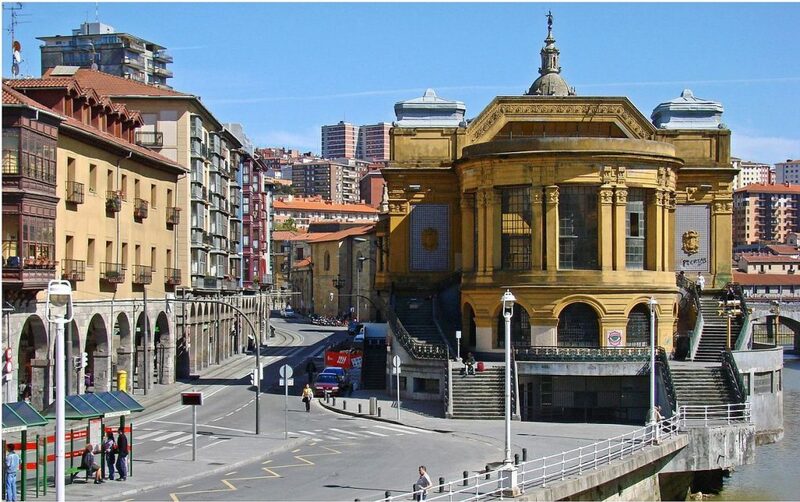 Filled with medieval architecture, fashionable cafes and trendy nightclubs, it is the ideal place for those who want culture and party in the same place. El Born also houses some of the major Barcelona attractions, most significantly the Parc de la Ciutadella, or Ciutadella Park, a 74-acre park centered around the striking Catalan Parliament building and fronted by the impressive Arc de Triomf. There are many medieval streets, including Montcada, which are ideal for an afternoon stroll. A small corner of Barcelona’s Ciutat Vella, or Old City, El Born lies just south of La Ribera, close to the city’s coastal ports. With its narrow streets and historic squares teeming with cafes, El Born is full of character and a perfect place to escape the bustle of the city’s more touristy areas. The small coastal town of Figueres, just north of Barcelona, is known for one thing: Salvador Dali. 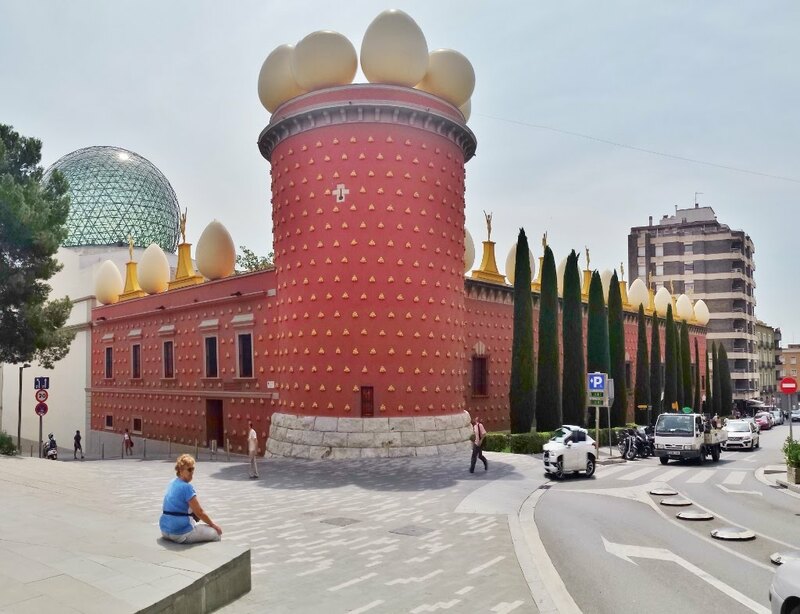 Though the artist’s fame brought him to more glamorous parts of Spain, Dali eventually returned to his hometown of Figueres to build his greatest masterpiece, the Dali Theatre–Museum, making it as one of the best Barcelona attractions. Located in the town’s former Municipal Theatre, the site is a work of art in itself. Since this quirky museum was designed by Dali to showcase his paintings, it offers insight into his imagination with a maze of his works displayed according to his own strange tastes. The museum also houses his crypt and grave. The popular sites to visit is Girona or two other Dali attractions— Gala– Dali Castle (Pubol Castle) and the Salvador Dali House– Museum at Portlligat— along with Spain’s Costa Brava. The Dalí-Joies exhibit, included in the price of admission, occupies two floors of the museum annex. Inside are thirty-nine pieces of jewelry made from gold and precious stones, as well as concept drawings made by Dali between 1941 and 1970. 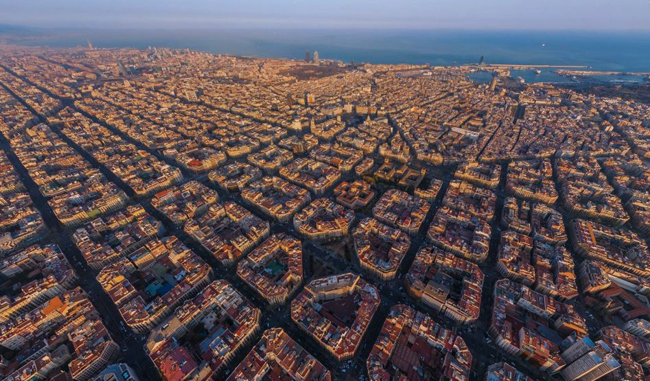 The Eixample neighborhood is located next to the Gracia street, one of the city’s most upscale streets. The Sagrada Familia Cathedral, one of the city’s symbols, is located in this area. Explore the cathedral’s interior, decorated with bony columns and carved statues, and climb to the top of one of the two towers that have an observation deck if you want to enjoy views towards the city. The area is known for its architecture, and several buildings designed by Gaudi are located here. Casa Batllo was a private residence and is known for its sandstone facade. The facade is covered in trencadis, pieces of colorful tiles that can be seen decorating buildings around the region. The other Gaudí building is Casa Mila, which has a large, gray facade. This building has a wavy shape and is notorious for not having any straight lines. There are courtyards and a rooftop terrace decorated with chimneys that have the shape of stone warriors. The top floor has a gallery dedicated to Gaudi and his architectural style. 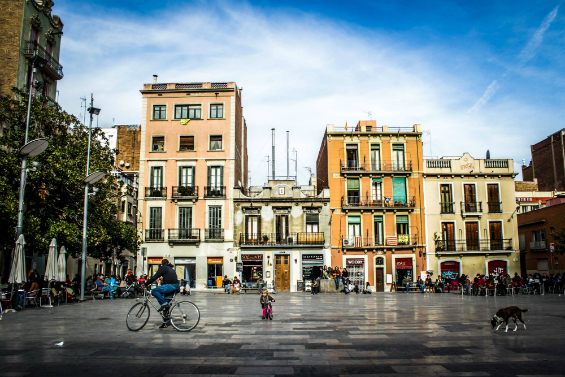 Located in the Ciutat Vella, the city’s historical center, this neighborhood is one of the most visited areas. Known for its Gothic architecture, the area is home to the Gothic Santa Eulalia Cathedral, Placa Sant Jaume, Placa Reial and the city’s most intact stretch of Roman wall. Its winding streets make it an easy and pleasant place to get lost for an afternoon. 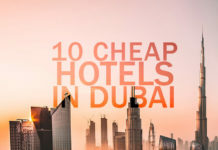 The area is a trendy spot filled with hostels, affordable boutique hotels, chic lounges and vintage shops as well. Barcelona’s Gothic Quarter (Barri Gotic) dates back to the Middle Ages, and the neighborhood’s age is evident in its narrow winding roads, shady plazas, and beautiful architecture, which is in the inclusion of three major cathedrals. Passersby find gems tucked away in the nooks and crannies off the narrow streets— like trendy restaurants, chic bars, and boutique shops. This makes up for one of the many things to do in Barcelona. Home to more than 4,000 works by the incomparable Pablo Picasso, the Picasso Museum is Barcelona’s most visited art collection. 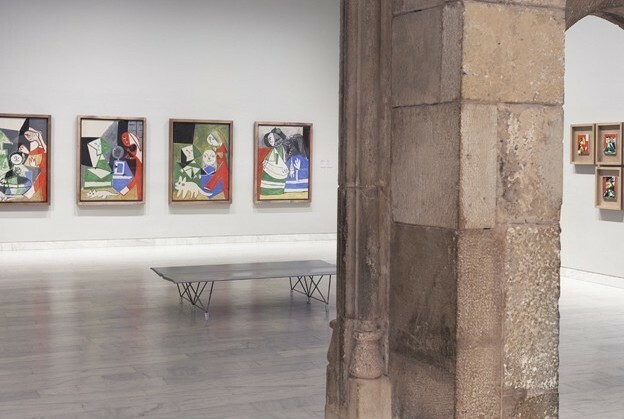 It is housed inside five Gothic mansions, meaning the museum’s architecture is an attraction all on its own — but it is the artwork and Picasso’s connection to the city that truly make this museum a must-see. Among the many famous paintings, you will find some of his self-portraits and his study of ‘Las Meninas’ by Diego Velazquez. Many of the museum’s permanent pieces correspond with the time Picasso spent living in Barcelona, which culminated in his Blue Period. Picasso has close ties to both Spain and France, and each country has two museums to honor him. However, Barcelona’s Museu Picasso was the first, and it was the only museum opened at the request of the artist. 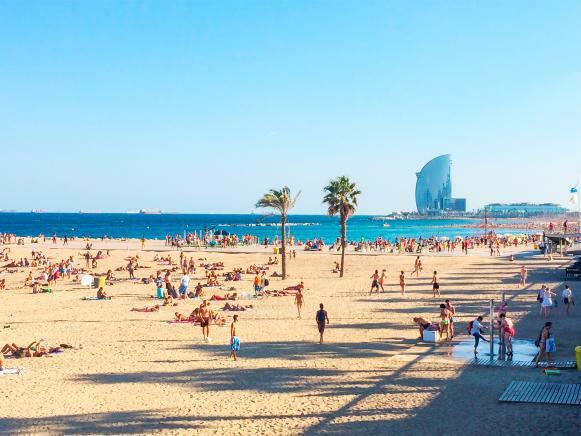 The area around Barceloneta beach, the city’s main urban beach, is ideal for those who want to relax by the beach. This area is connected to the city center by public transportation. 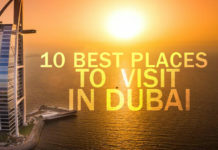 There are plenty of bars, cafés, and restaurants close to the sea. Another attraction in this neighborhood is the aquarium, located next to an IMAX and a shopping center. 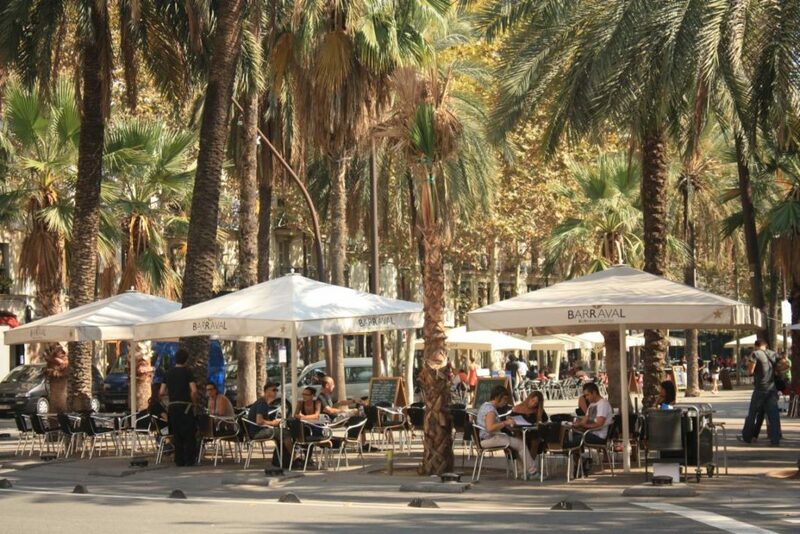 Las Ramblas, a set of main streets that connect the sea to Catalonia Square, one of the city’s main squares, are also located a short walk away. If you are in or around Barcelona, you must make a pit stop at the La Boqueria market. The market, one of the oldest in Europe – over 1000 years old, is Barcelona’s busiest market and arguably one of Europe’s most popular, is a vibrant hub of Catalan culture. The market dates back to the 13th century, but today’s version is held in the Mercat de Sant Josep market hall, a Modernist iron and glass canopy built in 1914 and is adorned with colorful tiles and stained glass panels. Browse from the piles of fresh fruits and vegetables, pails of glistening and organic olives, and huge slabs of Spanish cheese alongside an array of local seafood and varying cuts of choicest meat while watching locals go about their business. Whether you are sourcing ingredients for the perfect paella or just soaking up the unique atmosphere, few experiences are as quintessentially Barcelonian as shopping in the city’s liveliest market. 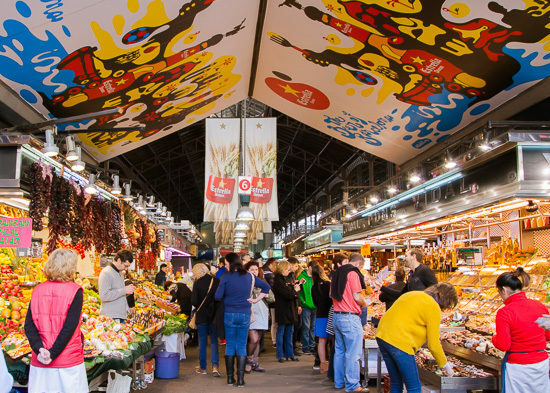 The market is one of a kind and tops the list of things to do in Barcelona in a traveler’s interest.